Update, May 17: “Community-crafted” airship MMO Worlds Adrift, from I Am Bread and Surgeon Simulator developers Bossa Studios, has launched on Steam Early Access. For more massively multiplayer online fun, check out the best MMOs on PC. The developers have also released a new trailer to show off the game’s ambitious scope, which you can see below. Bossa call the game, “the world’s first Community-Crafted MMO”, as they plan on involving the community in the game’s ongoing development. The game is launching with around 300 islands for players to explore, and, according to the developers, most of these were made by community members using the game’s Island Creator. 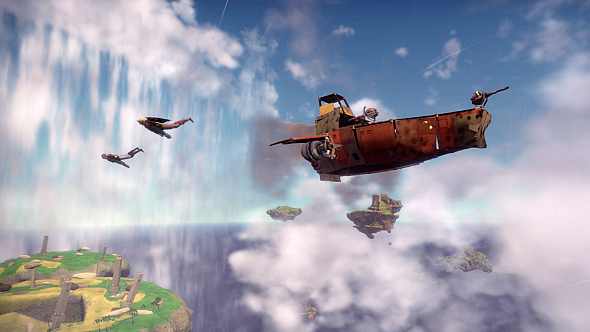 Worlds Adrift is available on Steam Early Access now, and costs £19.49 / $24.99 / €22.99. If you want to know more, you can check out our hands-on with the game’s beta here. Original story, April 10: The people behind Surgeon Simulator and I am Bread have been working on an MMO that aims to be as innovative and revolutionary as their previous releases, featuring a unique, persistent world and a fierce dedication to community-collaborative development. Worlds Adrift is so-named because it’s set in a broken land, with pieces of earth literally drifting across the sky after some ancient society. Players will team up to form crews, scavenging the remains of past civilisations for the parts they need to build skyships of their own design. It is one of the first games to use Improbable’s SpatialOS, a cloud-based platform enabling devs to create persistent online worlds. If you crash your skyship, its wreckage will remain in the world indefinitely, and can even be scavenged by rival crews. 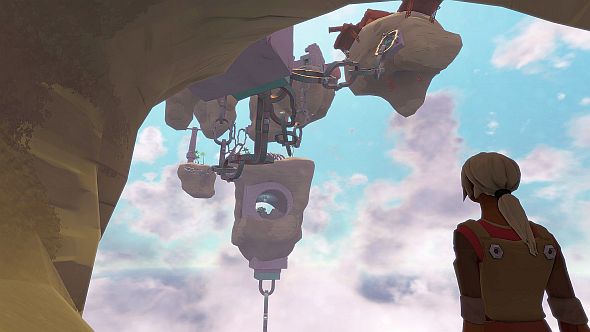 Worlds Adrift also styles itself the world’s first truly community crafted MMO. Over the past year, a dedicated community of closed beta testers have helped build the world alongside the devs at Bossa, and have had a real impact on the game’s progress.
. It already has a page on Steam, with a couple of more expensive premium founder’s packs, so head there for more details.